You know how your bedroom is so much more than a bedroom? Think about it: in addition to being a place to sleep, it's also a sacred space, an oasis from the rest of the world, an office, a studio, a home gym—you name it. 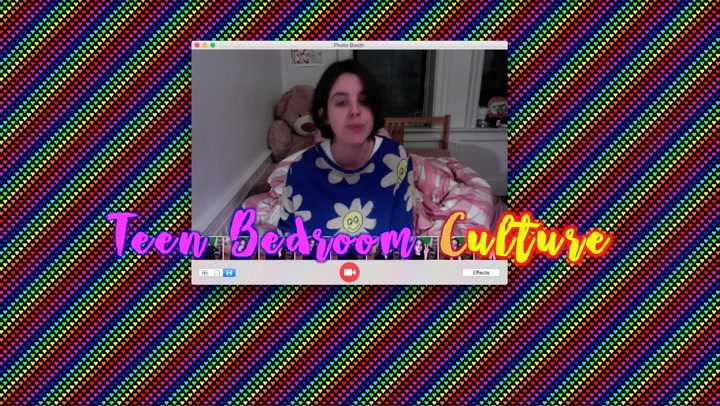 To wit: welcome to In My Room, a new bi-weekly series in which one of our favorite digital artists, Molly Soda, dissects various aspects of teen bedroom culture. This week, we're delighted to present episode 4 of In My Room, which is all about that hallowed teenage rite of passage: sleepovers. Maybe your parents conspired with you by helping you post the perfect sleepover to impress your frenemies and idols, or maybe they totally ruined your social life by forbidding you to attend slumber parties forever and ever, amen—either way, there's no denying sleepovers play a significant role in determining teenage social strata. Want to hear more? Check out the video and virtually connect from your bedroom!